BELLEVILLE – Costco is coming to Belleville and will probably open in the summer of 2020. 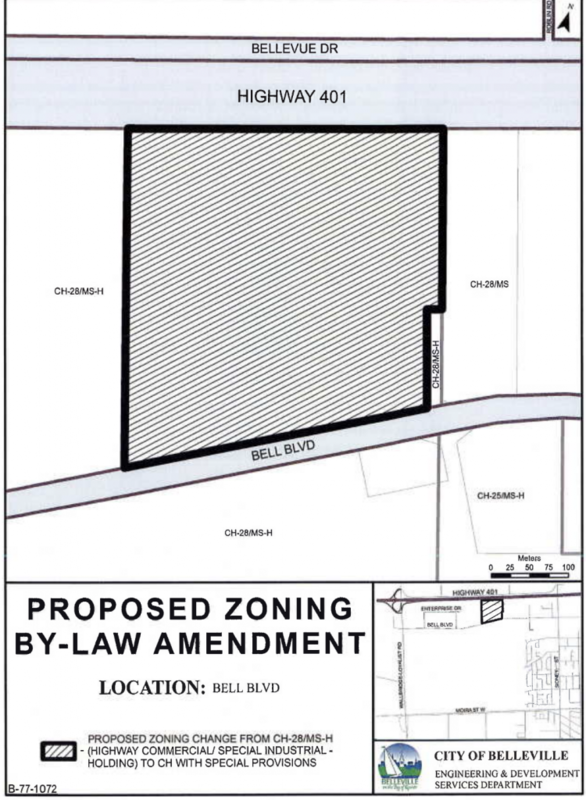 The store will be located on 14.6 hectares of land between Bell Boulevard and Highway 401, members of city council’s planning advisory committee heard Monday. Along with a Costco store, the plan calls for other retail outlets, a gas bar, banks, a craft brewery, a medical centre and more. According to a report to the committee, the project is expected to create 848 jobs. The city will get a one-time development and application fee of $2.1 million, and, once the complex is up and running, about $1.3 million in tax revenue a year. “This is more than a just good-news story. It’s a fantastic news story,” said Mayor Mitch Panciuk, thrilled about the development. 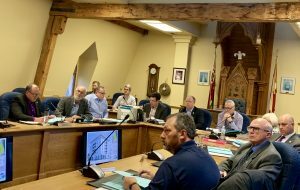 The city has already funded the expansion of the Bell Boulevard to keep up with the future traffic flow, Panciuk told the council. 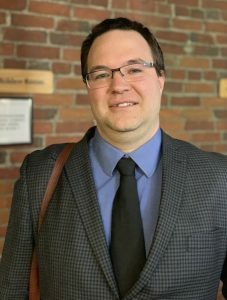 Micheal Keene, associate director of Fotenn Planning and Design, the company responsible for the development, appeared at planning advisory committee to propose amendments to the zoning by-law. Front yard setback, unified approachable parking and to add some new uses of the land were requested amendments. The development will feature three entrances off Bell Boulevard: one at the hotel entrance, one at Jack Ellis Way and one in between the two but Keene said he wasn’t sure whether all will be initially functional. “The anchor tenant (Costco) would like to be in the ground by the summer of 2020, so we’re talking just over a year from now,” Keene said. The other tenants will be developed around the same time as the anchor tenant and then build out from there in the range of up to five years, he told the council. The committee carried the motion unanimously to consider re-zoning. If the planning approves the zoning it will be discussed again in the April meeting. Location of the upcoming Costco store in Belleville. Map from agenda of planning advisory committee.